Every sportsperson aims to deliver a performance better than before whenever they play. A golfer is no exception. Golf is an interesting sport that can turn very competitive. ​It can easily be mistaken as a simple sport. Standing in one spot and hitting a stationary ball does not sound tough, right? This is far from the truth. Golf can be a difficult and physically demanding sport like many others. ​Many people may feel that having the right kind of equipment makes a huge difference to the golf swing and rightly so. However, I am one of those who feels that having the right technique is equally important to perform well. 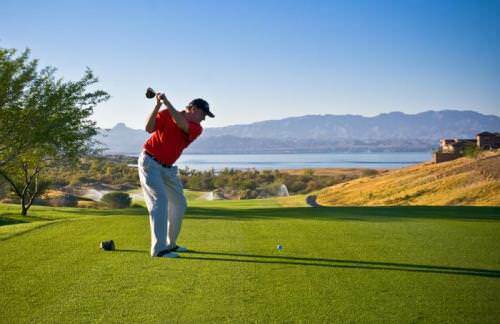 ​The essential component of golf is the swing. A good and effective golf swing needs to be precise on many counts. This makes it important to master to ensure that you have a great golf outing consistently. You will find various kinds of opinions and advice offered to increase your swing speed. In spite of all that, have you found yourself struggling to get the swing speed right? With many different clubs available for specific purposes, choosing the right club can get confusing. Before learning about how to swing, it is important to know the basic types of golf clubs so that you can use them correctly. An important fact many people would be unaware of is that choosing the correct golf ball may be as important as choosing the right club. There has been significant progress in the development of technology for manufacturing golf balls. Some of the most common constructions of golf balls are one-piece, two-piece, three-piece, four-piece and five-piece. They essentially denote the number of layers used in their design. It is imperative to choose a golf ball that can help you perform better. You can try out different brands to see which one suits your game the best. You could also recommend getting a professional golf ball fitting session if possible for personalized results. The bottom-line is that it should give you a great combination of speed, control, and distance. Any new skill or technique requires you to spend a considerable amount of time practicing it to gain proficiency. The demanding nature of golf needs practice and patience. You would need to persevere and play consistently so that you can improve the various aspects of your game. Taking out time to practice is an investment that will surely show you the desired results. Practicing the sport is important for amateurs and professionals alike and you must do it with a focus on fun as well. This mindset is not only wrong but also detrimental especially for someone who has just started playing golf. Learning the right technique is most important, as this is an asset in the long run. If you learn the wrong techniques early on, you may find it difficult to unlearn them later and this could affect your game. In the quest to swing fast, some golfers may tend to swing hard and this can lead to a waste of their energy. It is crucial to remember that timing is one of the most important aspects of getting the swing speed right. 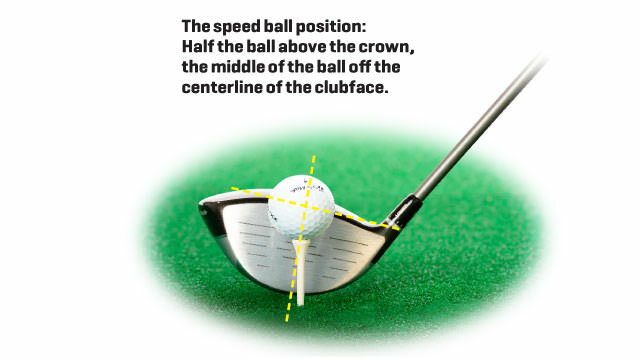 The timing should be such that maximum speed of the club head must be at the time of impact. The wrists play a major role in the swing speed. They perform the role of levers in the swing. The wrists can hinge on the back and if you release the angle in the wrists early it will not give you the desired speed results. It is ideal to hold this angle for as long as possible, until the time before the impact. Take any club such as an iron or a driver. 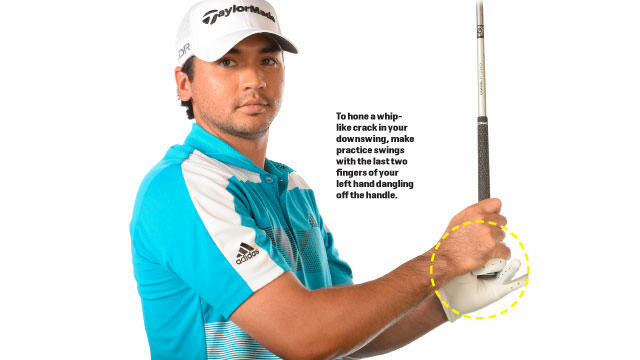 Hold it upside down such that your hands are holding the club near the club head. The grip would be facing down. Swing the club back and forth a few times to hear a whooshing sound. The volume of the whooshing sound would depend on the swing speed. The loudest sound should happen at the bottom, which is where the golf ball would be. Also, ensure that your wrists are hinged pointing behind towards your head instead of forward. Try swinging with and without your wrists hinged to hear a marked difference in the whooshing sound. One of the basic things to learn is hitting the ball at the center of the clubface. This is also one of the factors that tend to be overlooked. Playing the ball off exactly at the center would help you in making sure that you hit the sweet spot during impact. Apart from a better performance, this can also help you increase your swing speed by about 1mph. This factor is so important that if you miss hitting the center by even just a quarter of an inch, it could decrease your swing speed by 1 approximately mph. Sometimes it might not be possible to check this for yourself. So, it is advisable to get a friend to help you during this process. Another factor that you must focus on is your rotation. The upper part of your body must rotate against the lower part of your body. Rotate the upper body for 90degrees. This means that your back must face the target at the top. Now rotate the hips only for 45degrees. The torque and power in a swing are created due to the difference between these two angles. A good way to improve the swing would be to replace sway with the body turn. Swaying will not give you consistency in results during impact. When you turn instead of swaying, you will be able to achieve more power, speed, and better contact. ​The key to hitting longer is stability and this is something to work on. Improving the strength in the lower body can help you improve distance and give you better swing speed. ​You could also consider getting the help of a fitness coach to work on improving the strength in the lower and upper body. Creating lag can turn a smooth and simple swing into one filled with power. Lag can be defined as the angle, which is between the shaft and the left forearm in the downswing. If the angle increases there is an increase in the lag as well and this ultimately results in improved speed. Lag is very effective but it can also be challenging as it changes the timing and the attack angle. The key is to swing in the correct sequence during the downswing. 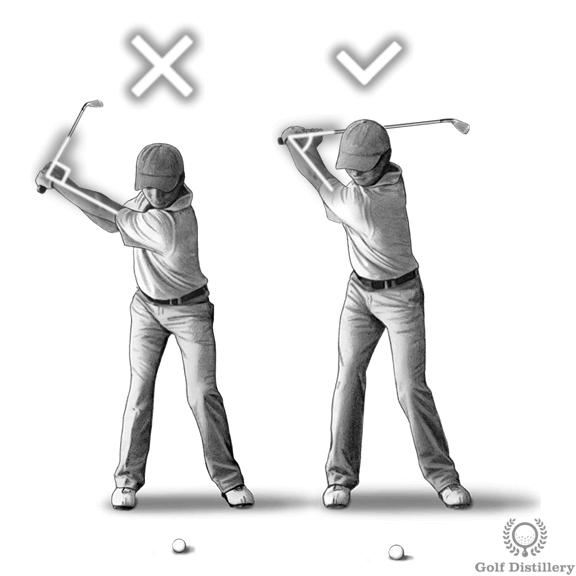 The correct order is first the lower body, followed by shoulders, arms, hands and lastly the club head. Usually, amateurs do not have the required lag in the swing, as they tend to use the upper body in the motion. Grip the club in such a way that the left pinkie finger and ring finger are dangling off the handle. This soft type of grip will easily let you feel where the lag happens in the downswing. Apart from improving the feel for lag, this will also help to increase lag. While there are numerous benefits of getting physically fit, one of them is to increase swing speed. If the back and abdominal area are strong, it can help to improve your game. An increase in the core strength and flexibility ensures that the body can bend properly. The most important muscles that are needed for a string swing are the back, the abdominal and the core muscles. By maintaining a regular schedule for fitness and stretching you can focus on strengthening them. Tension in the muscles of the arms and shoulders slows the speed of the club head hence keep them relaxed. Keep the grip pressure minimum as holding the club too tight will affect its release, which is required for the best club head speed. Always ensure that you have stretched your arms, back, and shoulders before a game. You can do this even between rounds. Hold a lightweight dumbbell in one hand and do 10 curls. Repeat with the other arm. You can take a break of 30 seconds and repeat the process. Find your balance point as you sit on an exercise ball. You can build strength in the wrists and shoulders by using a weighted club. Swing the club for one minute, take a break for 30 seconds and repeat both the steps. You can do exercises such as leg lifts or crunches as well. While swing speed in most crucial, one must not forget that it is equally important that you have the right tempo. Maintaining the tempo consistently will give you great results in distance and performance both. To do this, the club must be taken back and through at a smooth and controlled pace. If you apply too much strength with the hands or the body you could end up inducing a hook or a slice. Taking the club back slowly can also help to find the correct swing arc, which is important for speed and power in a shot. Golf is becoming increasingly popular with many people honing their skills to turn professional. With so many options available for golf equipment, manufacturers are vying for the attention of the customer. They can claim that their drivers can give you the best distance. However, the best equipment will not work well without the right technique. By spending time and learning about the basics of swing speed you would be able to add a decent number of yards to your drives. It is important to not get so fascinated with distance and buy expensive equipment without working on the basics of technique. Always keep the fundamentals in mind and understand their effect on your game. It is interesting to note the difference between the average speed of an amateur and one of the top players. Some of the best players can have an average swing speed between 110 to 115 mph. On the other hand, an amateur could have a swing speed between 80 to 90 mph. Some players might even be able to achieve swing speeds of more than 140mph. This shows that though the difference in the swing speeds may be small, it can have a huge effect on the distance and trajectory. One of the factors that can influence the swing speed is your grip. It might not be one of the easiest things to do but fixing the grip is essential. 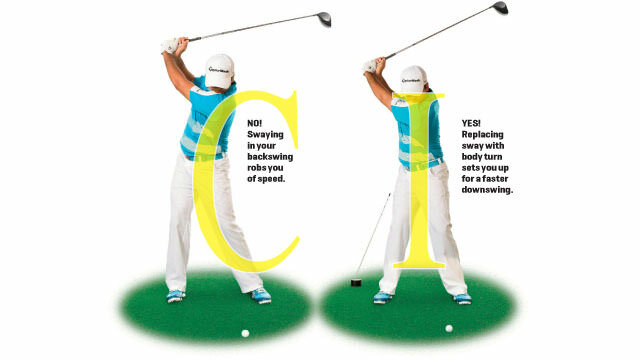 It can help you solve some of the issues related to club speed. The maximum speed is achieved when you release the club through impact as it can free up the club head. If you have a proper grip, performing this becomes easier. Some golfers are not unable to fully rotate their wrists after impact and this can end up in a slice. A correct grip and club head speed are closely related. Getting an increase in the swing speed is not something that would happen overnight. It would require hard work and patience. While working on it, make sure that you apply the important fundamentals of swing speed so that the process is easier. You would also need the right timing, strength and good flexibility training. Some players make use of a swing speed radar to keep track of the club head speed. It can be easy to get caught up in the quest to get the best speeds. Keep in mind that swinging fast and playing the wrong shots will not help you score well. Always keep the swing in control and work towards making small changes for improving your game. Did you like this tutorial and found the information useful? Have you tried any other method to increase swing speed that worked well for you? You can share your experience in the comments section below. We would love to know more. Do share our page if you liked the information in our tutorial. Watch this space for more as we continue to bring you some of the best information for a great gaming experience.